As Dr. Seuss implies, there is no limit to what people can think up. An illustration of the truth of this statement is 3D printing. Current users in education tend to be early adopters in large part because 3D printing is still a bit spendy and also because it needs to become more user-friendly to entice less adventurous users to climb on board. But does that mean that 3D printing is as fanciful as “beautiful schlopp with a cherry on top?” Or, should educators be paying close attention as this technology matures? Before you decide on your answer, it might help to know some of the ways 3D printing is being used outside education. Here are a few examples. Several companies around the world are using specially designed large 3D printers to print buildings. One company in China produced ten single story homes in less than 24 hours using construction waste and glass fiber in a cement-based mixture. The basic house design is simple, and plumbing, electrical, and insulation are added later. The cost for each home is $5,000. Of course, these companies have an eye on printing much larger buildings down the road, but in the meantime, 3D printed homes could be a good start for recycling construction waste while providing affordable housing to people all over the globe. One obstacle to long-distance space travel is how to provide food to astronauts. NASA recently funded a project to design and build a 3D printer that can print food using edible powder in replaceable cartridges that last 30 years. NASA’s project is focusing first on printing pizza. On the other hand, 3D printed chocolate is already a reality. The Hershey Company and 3D Systems are teaming up to explore ways they can deliver 3D printed food to consumers, starting with candy. This use of 3D printing may have implications for dealing with food shortages throughout the world. A child’s prosthetic arm can cost as much as $40,000 to manufacture and must be replaced as the child grows. However, there are now multiple instances of children using prosthetic arms created using 3D printers at a cost of $350 or less per prosthetic. For example, a youngster in Florida can now catch a ball and climb trees thanks to a group of students from the University of Central Florida who designed and printed his first prosthetic arm. In late 2013, Mick Ebeling, founder of Not Impossible, established Project Daniel, a 3D printing prosthetic lab and training facility in the Nuba Mountains, a war-torn area of Sudan. Sadly, missing limbs are an unfortunate fact of life for many residents here. A teen-aged boy who lost both arms in the region’s civil war was the first beneficiary of the project. African trainees continue to print and fit prosthetic arms for children and adults in the area. In addition to prostheses, medical professionals around the country are successfully experimenting with 3D printing of ears, bones, blood vessels, kidneys, and skin grafts. And in 2012, surgeons in Michigan saved the life of an infant by implanting a specially-designed tracheal splint created using a 3D printer. These examples just scratch the surface of the possibilities. 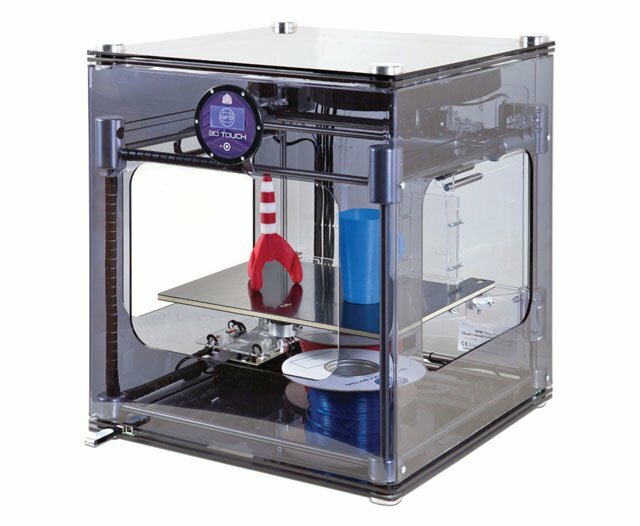 Amazon.com how sells a variety of 3D printed items including jewelry and accessories. Some fashionistas are sporting 3D printed apparel. The University of Colorado is developing tactile picture books for children with visual impairments using 3D printing. And there are many more 3D printing projects in the works.